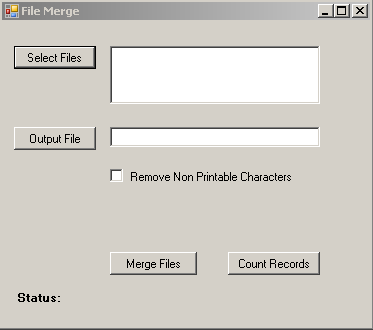 Update: File Merge has been updated with a feature that will enable you to get a line count for each file. I’ll keep the original version linked and add a link to the updated one below that. Also, check out the screen shots. Recently I’ve been working with a lot of text files that are alike in data structure. 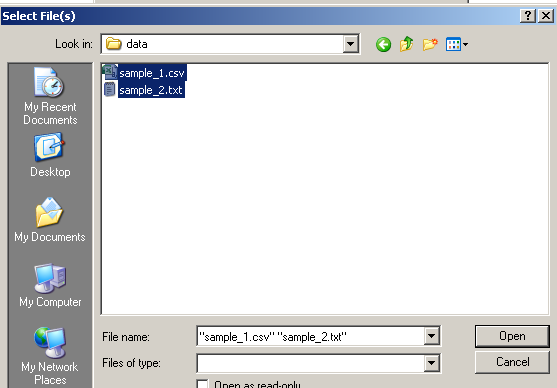 Sometimes I have to place these files in a database, other times I have to extract information from them. 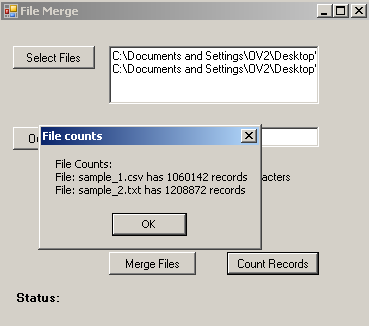 Whatever the case it’s always easier to deal with this data if it is in one large file. I’ve been using cygwin to accomplish this task (I love this tool), but various reasons, I decided to make a small executable with a user interface that will handle this task. I hope that you find this little utility useful. I’ve zipped up the source code and executable. The executable needs .NET framework 3.5 to run, but if you don’t have that framework on your computer, you can recompile the code under your version of Visual Studio and Framework. If you have a specific question about this post a comment. As soon as I get some more free time, I’ll create executables under Framework 2.0 since most Windows users are likely to have this. Alot of Win users are in demand for the tool like this – as i found googling. So im puzzled by lack of comments. Just merged 5+ gig wordlist with 25% CPU load on avg and 11 mb of RAM used. Awesome. Thanks. I will work on adding a progress bar. Excellent tool–simple, useful, hasn’t crashed or messed anything for me. Many thanks!!! Excellent tool, just what I was looking for. links are dows. Can you replace it? Apologies. Not sure what happened to the links.